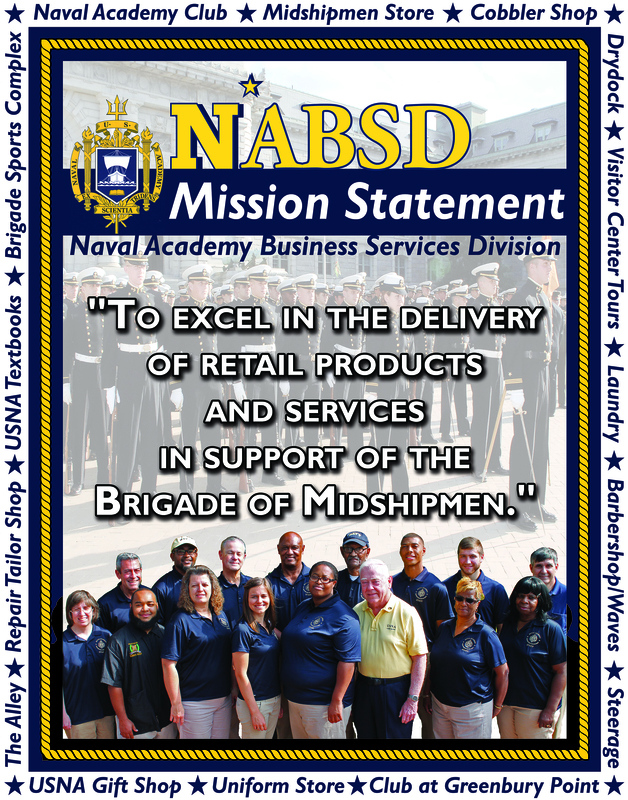 What is the Naval Academy Business Services Division? 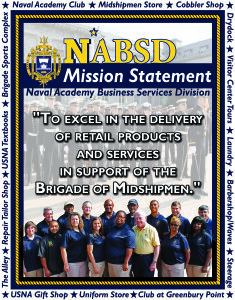 The Naval Academy Business Services Division (NABSD) is the retail side of the U.S. Naval Academy. We are a Non-Appropriated Fund Instrumentality (NAFI) Program. NABSD consists of 12 departments across the Naval Academy and NSA Annapolis grounds. 100% of our proceeds benefit the Brigade of Midshipmen. What is the mission of NABSD? Where can I find information about the Naval Academy? If you are interested in attending the USNA or are looking for information about the Academy, the United States Naval Academy website is the best place to start. Can I shop at the Midshipmen Store? The Midshipmen Store is not open to the public. They have a list of authorized patrons. There are two other shopping venues that are open to the public: Gift Shop and Navy Online, both of which offer tax-free shopping.